We have a wide variety of products to meet your gardening and landscape needs. 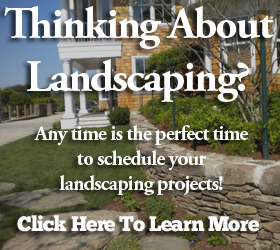 Hampton Nursery & Landscapes has a full selection of tools to fulfill your every garden and landscaping need. From sheers to spades, our friendly, knowledgeable staff can give help you need to get what you want so you can accomplish the task at hand. A greener lawn just seems to make you feel better. It makes your home and gardens more beautiful. But how do you keep it green? Just as you and I need our three square meals a day, utilizing all the food groups (of course), a lawn has similar nutritional needs. Your lawn’s needs are simple…it needs nitrogen for lush, green grass, phosphate for strong, deep root development and potash for growth and drought resistance. These elements are known as N-P-K for Nitrogen, Phosphate and Potash. To keep it straight, just remember N (for nitrogen) is for everything above ground (grass leaf)-P (for phosphate) is for everything below ground (roots) and K (for potash) helps the lawn interact with the soil. These elements are present in most balanced fertilizer products. The percentage of each element might differ, but these percentages are listed on every fertilizer product.